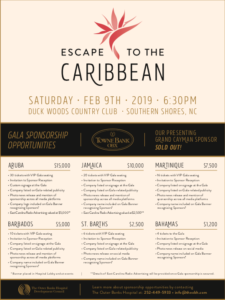 2019 Outer Banks Hospital – Escape to the Caribbean! Once again, this year I am the sponsorship chair for the Outer Banks Hospital Gala. 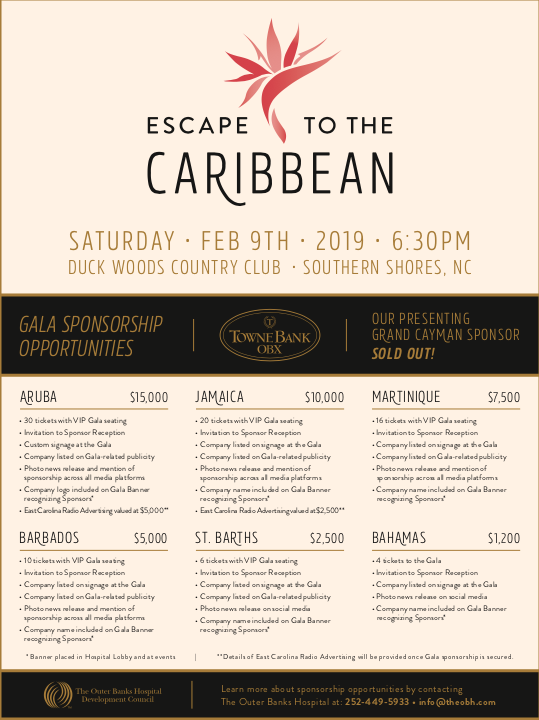 I would love for everyone to show their support for the Outer Banks Hospital and donate an item for the silent auction, live auction or become a sponsor and join us on Saturday, February 9th, 2019 at Duck Woods Country Club and Escape to the Caribbean! Let me know how you would like to help.